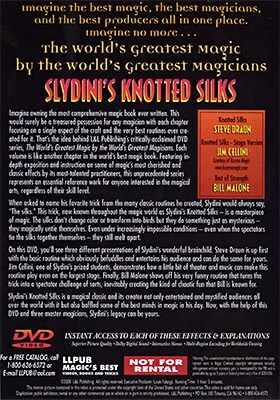 When asked to name his favorite trick from the many classic routines he created, Slydini would always say, "The silks." 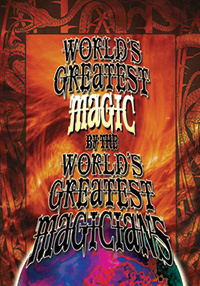 This trick, now known throughout the magic world as Slydini's Knotted Silks, is a masterpiece of magic. The silks don't change color or transform into birds, but they do something just as mysterious - they magically untie themselves. Even under increasingly impossible conditions - even when the spectators tie the silks together themselves - they still melt apart. 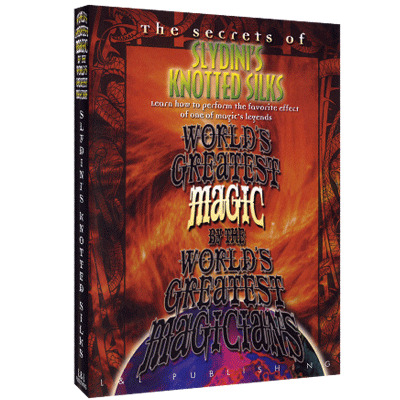 On this DVD, you'll see three different presentations of Slydini's wonderful brainchild. Steve Draun is up first with the basic routine, which obviously befuddles and entertains his audience and can do the same for yours. Jim Cellini, one of Slydini's prized students, demonstrates how a little bit of theater and music can make this routine play even on the largest stage. Finally, Bill Malone shows off his very funny routine that turns the trick into a spectator challenge of sorts, inevitably creating the kind of chaotic fun that Bill is known for.